Below are recent updates made in between official releases for v11.3. As always, if you have any questions about a feature, please contact your Customer Success Manager or Customer Support. 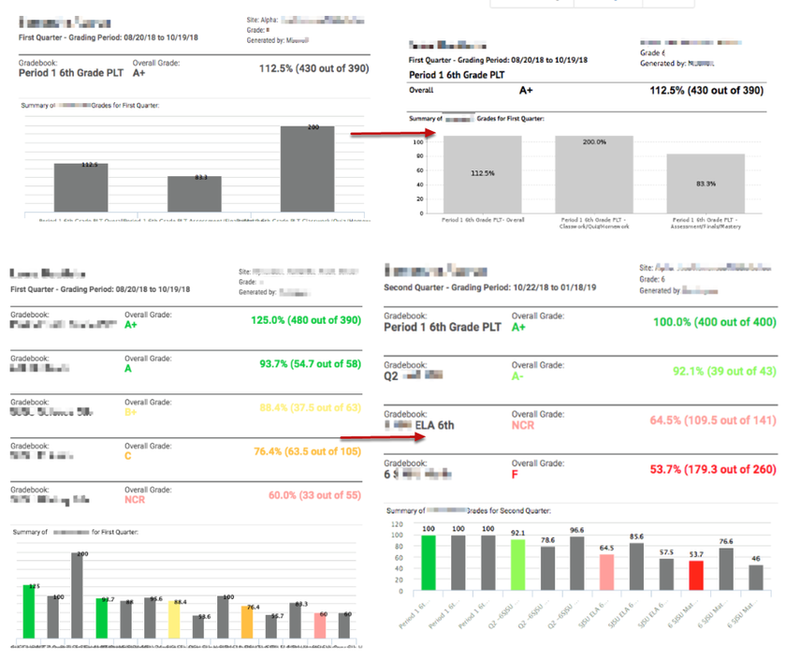 Gradebook Elementary Roster report has been updated using more efficient report building technology! Gradebook Progress Report - Elementary report has been updated using more efficient report building technology! When a user selects a classroom, the Assignment dropdown is clickable but doesn't have assignments loaded yet. This causes it to appear blank. 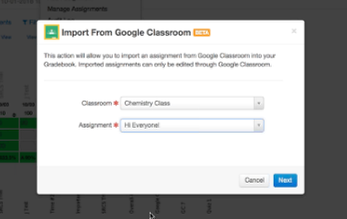 Similar to when on a Chromebook device, now a user should not be able to interact with the assignment dropdown for the Google Classroom assignment import until there is data populated in the list of assignments. To enable this widget on your student profile, contact a Support Specialist or Customer Success Manager to assist you. All fields are now available in State Assessment Data Management to edit and modify the Cognitive Abilities Test (CogAT) - COMPOSITE for the years 2016-2017, 2017-2018, 2018-2019. 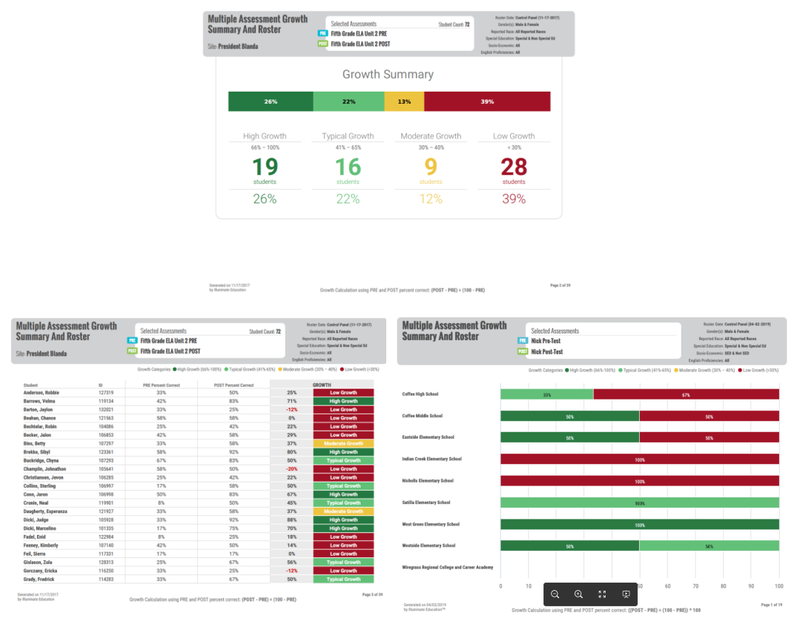 Visit Multiple Assessment Growth Summary and Roster to learn more! 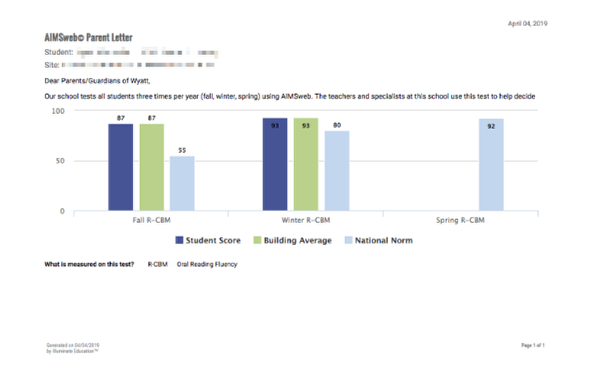 AIMSweb Parent Letter reports have been updated using more efficient report building technology! If a user enters consecutive spaces or "/" in a BI Tool report title, it results in a space in the Report URI, which breaks the report. Now, consecutive spaces or a forward slash does not break the report. When pulling data from the PFT 2018-2019 Illuminate Report Data category, all of the matching columns are labeled as the prior test year PFT 17-18. Now the categories have been updated to match the current testing year. IF clients provide exit date for staff, THEN the "Effective End Date" is being populated. IF clients provide an exit date for staff in user management, THEN the "Effective End Date" field should be left alone. 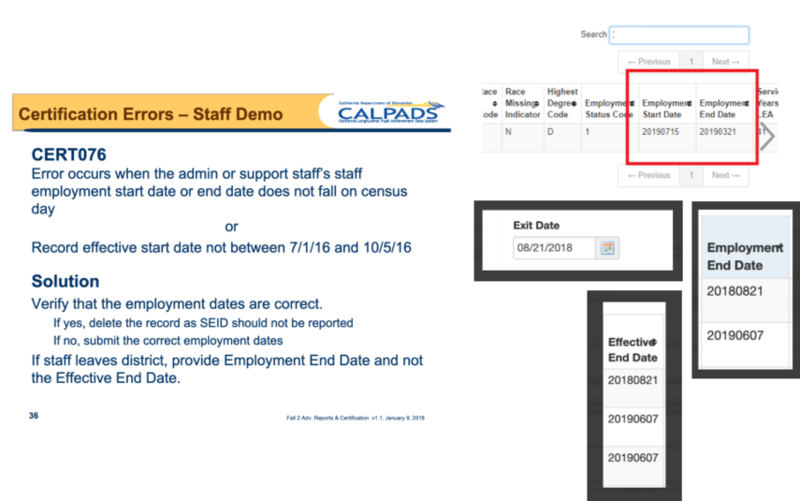 There is no longer the connection between the staff exit date and the effective end date field. When the "Ten/Thirty Day Report" is done generating in the Scheduled Jobs queue, if no data was populated because there was no data and not because of an error, instead of generating a status of "Failed" now we will generate a status of "Finished." The message has been changed to "Fetch students and their period info. There were no students with Unexcused Absences for selected 'As of Date' (2018-10-01). The landing page for Illuminate & Infinite Campus users has been updated with current theme and format, including some instructions based on the questions and feedback we've gotten from users thus far. For more information, you can visit Linking Assessments to Infinite Campus with LTI.